We have come out with the most desirable Oil Glass Bottles that is blended with perfection. It has been provided with a wide dimension for storage by our experts. You are also going to be dragged in the world of fantasy with its appealing design with the adorable finish and dazzling colors that enhance the overall appeal of distinct fragrances filled inside it. 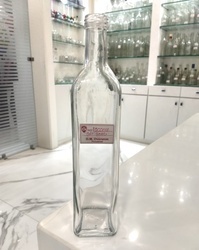 Being the leading names in industry we are involved in offering an extensive range of Olive Oil Glass Bottles. These bottles are widely used for storage and transit of various liquids such as chemicals, oil, milk and water and many more. These are available in all shapes and sizes as per the requirements of our clients. 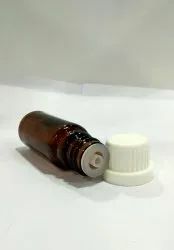 These are bottle for mostly used for essential oil and we have amber , cobalt blue and any customized color, we have facility of electroplating and metalized, we have German dropper and glass dropper. Price can be change accordingly.